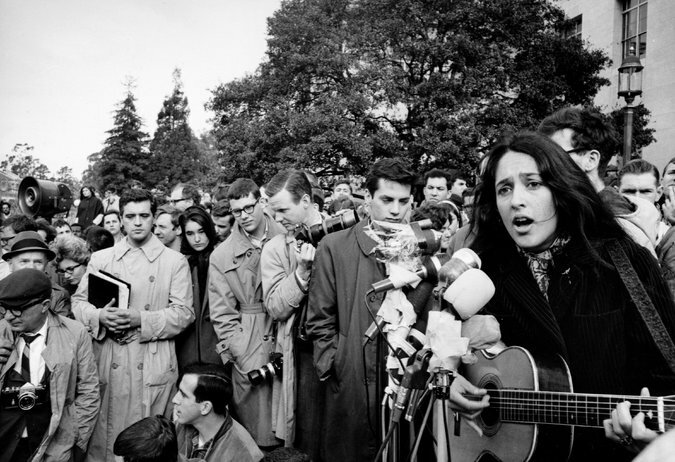 WOODSIDE, Calif. — She’s been performing for six decades and until this month hadn’t released a new album since 2008, but Joan Baez has been picking up momentum. Just as the folk music icon and pioneering activist has unlocked a fresh reserve of cultural resonance, however, she has decided to step back. She announced that her new album, “Whistle Down the Wind,” would be her final recording and said that the eight-month-long world tour that kicked off in Sweden earlier this month will mark her farewell to the road. At 77, Ms. Baez certainly doesn’t carry herself as if she has any intention of slowing down. On a recent afternoon, she interrupted a walk around her backyard to unlock her chicken coop and chase a dozen birds through the dirt. After rounding them back up, she was delighted to find a handful of new eggs, which she carefully carried up to her kitchen. In the house, the furniture was well worn, but the rooms felt spare and airy, perhaps because she’s “decluttering” using the Marie Kondo method and is proudly down to three shirts in her closet.